Hey guys! First of all, I am so excited that Julie has made her first post- you are going to love her! 1. Go to starplaza search. 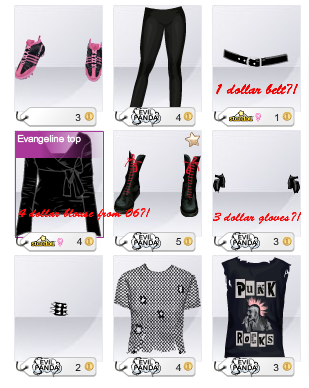 2. select the color "Black"
I found Paulina Porizkova Celeb fan items, as well as Milly and Becky items. I also discovered old items from 2006-2007 that are still in starplaza- all for less than 8 stardollars! Enjoy them- you never know how long they will stay!